The first time I can remember intentionally eating insects was in 2010 at a health conference in the Los Angeles area. There was a tonic bar serving superfood and herbal based drinks. Some of the ingredients for those elixirs were in the form of tinctures made from exotic herbal extracts. I was particularly intruiged by one with a picture of an ant on it. Medicine made from ants was such a foreign concept but it immediately captivated my attention. Ants were the gateway bug and a revelation of insects as a food source was about to become a part of my reality. 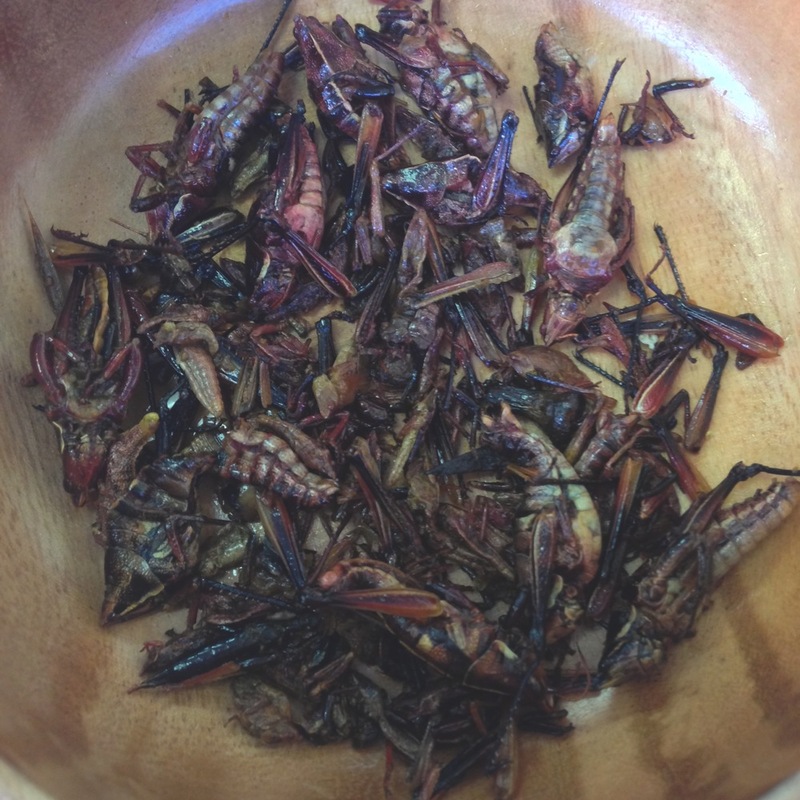 The concept and practice of eating insects is alter-native to the dominant culture of North America were I live. But it is, and has been, ubiquitously native to most other traditional societies living wild ways around the world. Information and knowledge surrounding the subject of entomophagy is spreading rapidly through media outlets. Scientific studies and entreprenuerial companies are mounting. This motivates me to infuse my perspectives with the projects contributed by the multitude of other individuals and organizations who are exploring the situation of intelligently feeding the large population of people on this planet. My aim with this article is to advocate the integration of edible insects into our nutritional strategies, add my own abstract ideas and include the most compelling links to positive propaganda that I’ve found. This is intended to be a subversive administration of radical change on the psychological and physical aspects of domesticated civilization. I ask that you simply entertain these ideas and recognize the possibility that prejudice is often disguised as contemplation. Activate your imagination. I excluded statistical data surrounding this subject because it’s presented expertly in so many other books and websites. You can research much of it for yourself through any of the highlighted text. There’s also more to be found with quotes, videos and book recommendations at the conclusion of this exploration. Entomophagy: from Greek éntomon, "insect", and phagein, "to eat", is the human consumption of insects as food. Taoist Herbalism from the Traditional Chinese Medicinal system was the first ancient adaptogenic practice I was introduced to. They've integrated insects into their recipes for thousands of years. They made effective tonic formulas to support the full spectrum of the immune system and restore balance to the body’s Yin/Yang dynamics. They say that “ginseng is the king of herbs while ant is the herb of kings". They also use deer antler velvet tips, deer or goat placenta, gecko tail, male silk moth and more esoteric ingredients in what is called their “animal class of herbs”. China, Africa, Thailand and Mexico are just four of the most notable countries for their long history of cultural entomophagy practices. Those indigenous communities have a diverse range of insects and animals that are intrinsic to their thriving culinary lifestyles. All members of these societies, from men and women to children and elders, are engaged in the collection and enjoyment of the nourishing process. Veganism is a neo-industrial luxury (sic) with debatable health benefits and most people give it up after a few years anyway, in favor of animal proteins. Large scale factory farmed animals are horribly brutalized and I absolutely oppose that odious industry. I do believe our wild hunter gatherer ancestors had a good thing going, and if we could simply adopt an approximate strategy of micro scaled organic, ethical and local animal farming for meat production (and insect rearing), things could be relativly alright. Some people still hunt wild game. Humans are predatory by nature and design. I know natural resources are becoming scarce and all the rest. That’s one of the main motivations for composing this manifesto. I also have a lot of personal experience with the raw food diet. Here’s some compassionate observations for vegans, vegetarians or anyone else to take note of. Farming practices are often cruel and generally corrosive to biological ecosystems. Multitudes of organisims are enslaved and genetically mutated into property. If you’re reading this, you live in a domesticated civilization. You are a domesticated animal and not wild like our robust forebearers. Modern industrial civilization is destructive to all life forms on Earth. Agriculture slaughters swarms of living species through wholesale clear cutting and mono cropping. Bees are enslaved and cruelly handled to pollinate vast orchards and huge fields all year long, with harsh exposures and theft of labor. All this and more is to sustain the ongoing conquest and the questionable objective of the dominating industrial civilization. Let’s try a thought experiment. Imagine a vegan says, “I don’t drink cows milk or eat cheese and eggs (or insect pupae, royal jelly or bee vomit[honey]) because they’re designed for their own species and not for humans”. All species are ensouled with their own reproductive agendas. Bacterial, fungal, mineral, plants and animals all contain some sort of viable nourishment and have the potential to impart value to us. If you don’t already realize that plants and bacteria are just as alive and communicating their own agendas as we are, then you’re just not paying careful attention. Death feeds life. What makes life valuable is that it doesn’t last forever, and what makes life precious is that it ends. Eating is so intimately personal. It’s similar to our preference for music styles or religious beliefs. I was raised in a christian kind of way, and survived. I know how convicted god fearing people can be. And again, everyone has a right to their own personal opinions but no one is entitled to their own worldly facts. Remember also that prejudice is often disguised as contemplation. There’s been many layers of social conditioning imposed upon us since inception. Fear and disgust of insects is one that has pervaded the media for many years. As with all other mental and emotional conditions, we’ll have to unlearn this and recognize that eating insects can be highly nutritious, extremely delicious and complimentary with ecology. In fact, it’s worked rather well for our wild progenitors. We ought to be grateful to them for being so brave and resilient in their struggle to survive so that we might have a chance at life. Creativity is evolution in our hands. Think about that when you go shopping at the store for spaghetti and meatballs or tofu. That those pioneering primates of ours were so strong and sovereign in their capacity to start and maintain fire, construct natural shelters and forage an abundance of insect species to nourish their egalitarian tribes. So here’s a casual question to digest: can you find the wildness in your body and walk through the store after work holding it high? 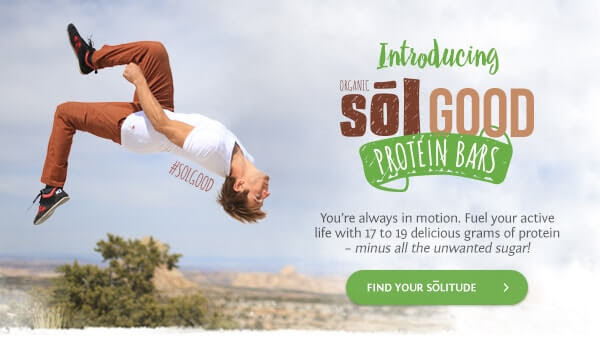 Insect protein is the protein of the future, and Exo is leading the charge. Visit their website and check them out. Out of all the potential insects to end up in your mouth, crickets have the best social campaign (PR). They’re cute, clean and convenient. They’re nascent in the emerging paradigm of insects as food in affluent societies. 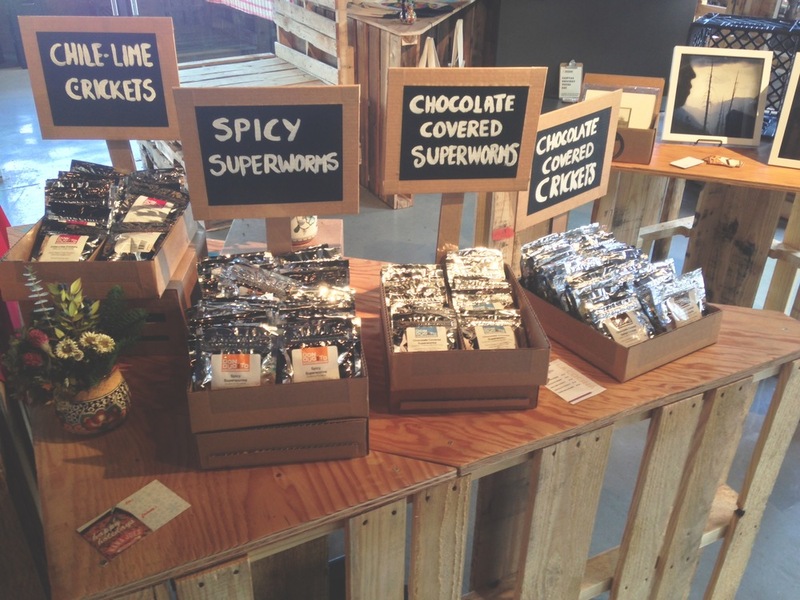 Crickets are the first to show up in paleo power bars and fine dining restaurants. There are some exciting options already becoming available and the future looks optimistic fom this perspective. Insects have an excellent conversion rate from feed to meat. Compared to large mammals who need vast resources and space to roam, little bugs naturally thrive in dark confines and require much less feed. It’s an efficient model of doing the minimum amount necessary for gaining the maximum effect (minimum effective load). Generating stores of insects in our homes is a viable option and instructions for doing so are easily assessable. Similar to growing sprouts indoors or tending to chickens outside. If I wasn’t so nomadic and actually had a somewhat stable home, this would be an occupational practice of mine. However, I’m thoroughly infatuated with insects and have a blossoming desire to build my own bug infused business someday. It’s a no brainer and all hearter. A documentary feature film about feeding humanity in an uncertain age. I hope the information in this article is a source of inspiration to you and encourage you to wrestle with any resistance that might’ve challenged your perspectives. A majority of people seem to be turned off from getting face to face with insects because of the “yuck factor”. This aversion arrises from insidious brainwashing and is more of a mediated reflex than instinct. As with so many other subconscious conditions lurking unaware, we have to intentionally unlearn as many of these limitations as possible in order to manifest more magnificence instead of compromising for mediocrity. Entomophagy plays a superlative part in reconstructing the puzzling position of feeding the worlds population. I believe we need a renaissance right now. We can adopt the best practices from our ancestors and synthesize them with today's most intelligent innovations. I bow with deep reverence to all those who came before me and have mad respect for the beautiful resilience of the legions of insect species. People are vastly outnumbered on this planet of insects. Don’t be surprised if a few end up on your plate. "Although an individual termite may weigh about 2 milligrams, the combined weight of all the termites in the world exceeds that of all the humans put together." "We estimate that there are about 6 million insect species on Earth. And that’s not all—estimates have also been made of the total number of individual insects on the planet: between 1018 and 1019, numbers we can’t even imagine. This would mean that for every human being on Earth, there are between 200 million and 2 billion insects. If every insect were to weigh 1 milligram, which is the weight of a small ant, then for each one of us, there are 440 to 4,400 pounds (200–2,000 kg) of insects. In other words, insects dominate the world not only according to numbers of species, but also in terms of their total weight. Our planet is actually a planet of insects, on which a few people also live." "Insects are everywhere. They are found in all our food crops. At harvest time, the best apples are sent to markets and shops, and lesser-quality apples are used to produce apple juice and applesauce. Apples sometimes have an insect or two in them—and these just get ground up along with the apples and become part of the applesauce and juice. The same goes for tomatoes and ketchup, grains and bread, coffee and a long list of other foods. Inspection authorities do enforce specific limits. In the United States, for example, the maximum is sixty insect pieces per 3.5 ounces (100 g) of chocolate, thirty insect pieces per 3.5 ounces of peanut butter, and five fruit flies per 1 cup (250 ml) of fruit juice. Calculations indicate that each of us unknowingly consumes about 1 pound (500 g) of insects per year. This means that our food is enriched with high-quality protein."